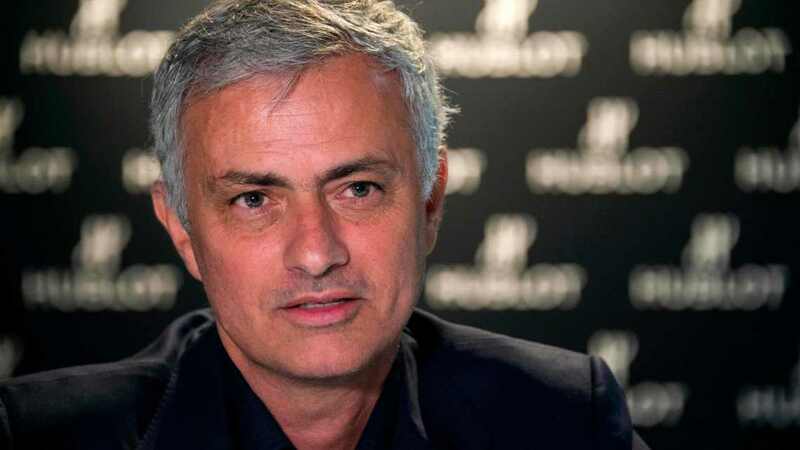 JOSE MOURINHO criticised his Manchester United successor Ole Gunnar Solskjaer's tactics during their defeat against Barcelona. United were dumped out of the Champions League having succumbed to a 4-0 aggregate defeat. Having watched his former side lose 3-0 away at the Nou Camp, Mourinho took aim at the tactics of Solskjaer - suggesting star man Lionel Messi was given too much space to work. Mourinho told Russia Today: “I think the United approach was different. In the first leg they tried to occupy that central zone. “Messi’s position is easy to understand but it is not easy to create a cage to control him. “He comes from the right, then stays in the middle, then Rakitic goes right and allows him to stay in the middle. It’s very difficult. “Manchester United in the first match zonally they occupied that area very well. “When he came into the inside he was finding Fred, he was finding McTominay coming to the inside all the time. “But I think in this match because United were losing 1-0 they tried to start with a different perspective. “Now it was Pogba wide left, McTominay much more on the right and Jesse Lingard starting as a 10 behind the strikers. “In front of the defensive line was only Fred. That’s the area that Messi comes to get the ball and when Messi has the ball - one, one, one - you are dead. “That’s why I never liked individual man-on-man against Messi. Messi’s a cage, you have to create a cage. 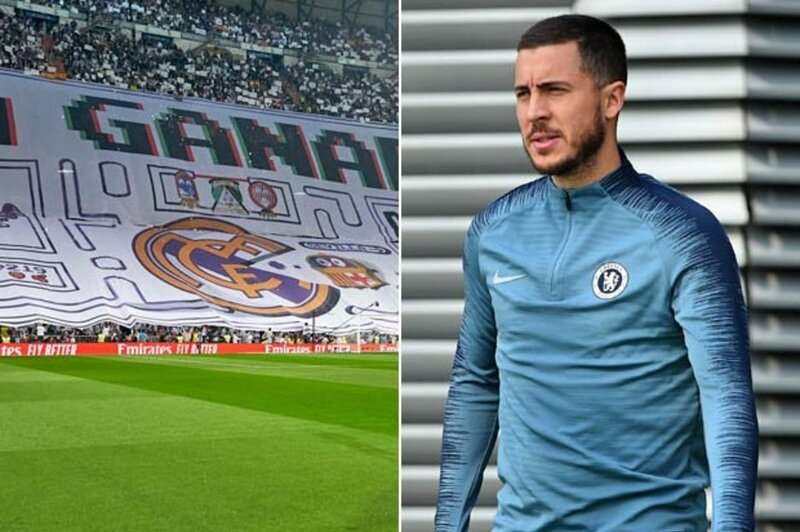 REAL MADRID have €500m to spend this summer, according to former boss Fabio Capello, and Eden Hazard could be joined by a host of Galacticos in the upcoming transfer window. Real Madrid are expected to undergo a major squad revamp this summer after a shoddy season in all competitions. At the beginning of the year, the European champions were facing up to losing Zinedine Zidane and Cristiano Ronaldo - both key components in winning three Champions League trophies in a row. And the departures clearly hit hard, with replacement boss Julen Lopetegui getting the sack in October and then also axing his replacement Santiago Solari in March. It has led to Florentino Perez returning to Zidane basically on his knees, who agreed to take over for a second time just 10 months are resigning. However, the legendary Frenchman is expected to be given new powers - including greater say in transfer dealings. Two stars have already signed in Eder Militao and Rodrygo but a whole host of stars are set to join them this summer. One man that looks certain to make the move to the Bernabeu is Chelsea star Hazard, with Marca reporting that a £100m deal has been struck and the transfer will be wrapped up in the coming days. And former Real boss Capello, who still has friends at the club, has revealed that Los Blancos have over £430m (€500m) to play with this summer. "They told me Real Madrid have €500m to spend on signings," he told Sky Sports Italia. So who could be joining Hazard in showing off their shiny new Real shirts? Paul Pogba has had his future discussed at length this season after falling out with Jose Mourinho. But the Special One’s exit has appeared to do little to appease the World Cup winner. Real are interested in the Frenchman and have been since he left Juventus in 2017, but a massive bid would be necessary to dislodge United’s stubborn stance on their prized asset. Sadio Mane has been Liverpool’s top man this season, plundering goals for fun as the Reds chase the Double. The Senegal striker sunk Bayern Munich earlier in the Champions League and was also on the scoresheet against Porto to set up a semi-final tie with Barcelona. Mane’s 22 goals come at a slightly better rate than team-mate Mohamed Salah’s, with the former Southampton scoring a goal every 164 minutes compared to the Egyptian's 165. Real have taken an interest as they look to sign a goalscoring winger, with Gareth Bale set to be axed. Christian Eriksen has been locked in a contract wrangle with Tottenham for many months now and Spurs are starting to accept that they may lose the Dane. The former Ajax midfielder has built up his reputation as one of the best playmakers in the Premier League and Real are looking to spruce their midfield. Toni Kroos is coming off the back of his worst season at the Bernabeu while Ballon d’Or winner Luka Modric has not showcased the form that won him the top individual prize in months. Spurs have reportedly slapped a £80m price-tag on the 27-year-old, a fee Real are willing to pay. 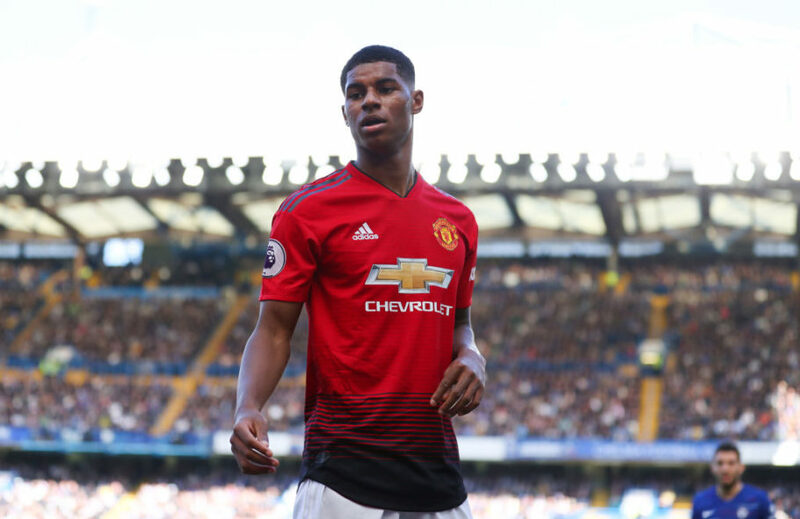 MANCHESTER UNITED star Marcus Rashford is stalling over a new deal with the club amid interest from Barcelona, according to reports. The La Liga giants are planning a £100m swoop for the Red Devils ace, 21, hoping they could come to an agreement with Old Trafford chiefs by offering Malcom in a swap deal. Rashford's contract with United expires next summer but the club have an option to extend it for a further 12 months. But negotiations over a new deal have dragged on for months, putting his future at Old Trafford in doubt. The England international was linked with a move to Barcelona ahead of Tuesday's Champions League clash between the two sides. The La Liga giants are reportedly eyeing up a £100m for the United academy's product, although they know it will be difficult to lure him away from Manchester. But Mundo Deportivo report that Barca want to include Malcom, 22, in a potential swap deal for the striker, hoping it could test the Old Trafford chiefs' resolve. The Brazilian winger has failed to live up to the hype following his move from Bordeaux last summer and is believed not to be in Ernesto Valverde's plans. However, the Mail say that a new round of contract talks between Rashford and United have just begun, with initial reaction described as positive. But the Red Devils star reportedly expects a salary of £200,000-a-week and reassurances over his position at the club in order to consider committing his future at Old Trafford. Rashford's camp are aware of the interest the striker has attracted thanks to his sublime form this season. And they realise it gives them a strong bargaining position. Rashford has scored 13 goals and added nine assists in the current campaign, thriving under Ole Gunnar Solskjaer. He was also arguably United's best player over two legs of the Barcelona tie. The Red Devils star nearly overturned their first-leg deficit at Nou Camp in the opening minutes of the game, but unluckily hit the bar instead. Broncos coach Anthony Seibold plans to inject James Roberts off the bench in the second half against the Canberra Raiders on Sunday where his attacking strike looms as a potential match-winner. Roberts has not played since the round three loss to St George Illawarra due to an Achilles complaint. He also played just a few minutes against Melbourne in round one due to a back spasm. If the game is in the balance in the national capital Seibold will have an ace up his sleeve with a simple mission to turn the after-burners on and live up to his nickname of ‘Jimmy the Jet’. "Jimmy will be playing. He will be on the bench so we will make a tactical change at some stage during the game," Seibold said on Saturday before the side’s captain’s run. "He’s shown the last two training sessions that his Achilles is a lot better so I just think it is best to start him off the bench because Kotoni [Staggs] has done a good job the last two games. "Obviously Jimmy would love to start but he hasn’t played many minutes in the first few rounds and has been out for a couple of weeks, so it is almost the mentality they talk about in rugby union where they have starters and finishers. Seibold has often carried an outside back on the bench and said Roberts would get “plenty of time” in the match. Seibold fielded questions about how he was handling the pressure of having won just one game after five rounds. 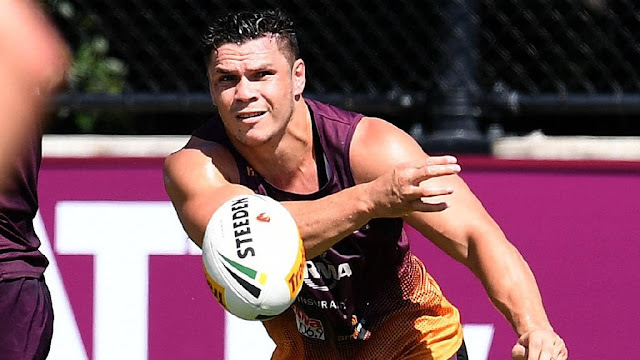 It emerged that the Brisbane mentor has turned to those he trusts for advice and reassurance and is not getting bogged down in digesting all the flak that has come the Broncos way in recent weeks. "I try not to listen to outside opinions and I seek counsel from people I trust," he said. "There are one or two people who are experienced in rugby league or outside our sport who I chat to. Every coach goes through challenging times. It is definitely really important to have a mentor in any leadership role in life." One of Seibold’s sounding boards has been England rugby union Eddie Jones who has been through his ups and downs as Wallabies coach and in clubland previously. "I am in constant communication with Eddie," Seibold said. "He had a similar start to his Japanese club coaching career a few years ago so he is one that I talk to." Seibold is big on involving legendary figures from other sports with his teams and the Broncos welcomed French rugby union legend Frederic Michalak at training on Friday as a boost ahead of the must-win clash with Canberra. “He loves rugby league and went to the Roosters last week before coming to us to observe training. He is working in a general manager type role in Lyon and he really enjoyed the day," Seibold said. Seibold also sat in the Collingwood coaching box with Magpies AFL coach Nathan Buckley on Thursday night for their clash with the Brisbane Lions and spent a day with the club as part of his professional development. He said the Broncos were determined to perform against the Raiders in what looms as a “crucial” away trip. "It has been a challenging start," Seibold said. “Two of the last three games we have lost literally with the last play of the game. That really hurts and that’s challenging but from a coaching staff’s perspective we need to bounce into work, which we have done and worked really hard. "It is a crucial game but we just need to continually get better. We showed some good signs last week against the Tigers." The visitors looked like they would come away from Carrow Road with a shock win after hitting back to lead 2-1, but the Sky Bet Championship leaders are renowned for their late comebacks and pulled off another to move five points clear of Sheffield United and Leeds with just three games remaining. The Canaries had taken the lead in the 19th minute through Marco Stiepermann but the Owls were always in the game and equalised just past the half-hour mark when Fernando Forestieri netted with a brilliant long-range effort. When Steven Fletcher scrambled the ball home early in the second half with what appeared to be his arm Daniel Farke’s men were under pressure, but they produced a typically spirited response to force a dramatic draw which all but extinguished the visitors’ outside play-off hopes. Knowing they needed a maximum of six points from their final four games to guarantee promotion, the Canaries were quickly into their stride, with top scorer Teemu Pukki beating a couple of defenders in the box before firing just wide. A couple of minutes later keeper Cameron Dawson, a late replacement for Keiran Westwood, did well to punch Stiepermann’s fiercely struck free-kick away after being booked for handling the ball outside the area. Wednesday added to the spectacle by making a game of it and had the ball in the net in the 15th minute after a slick move, but the goal was rightly ruled out for offside. It was Norwich who were doing most of the attacking, however, and they went close again a minute later when Onel Hernandez saw his low shot saved by Dawson when a square ball to an unmarked Pukki would have left a tap-in. But a home goal was coming. Stiepermann worked himself into some space on the right-hand edge of the box after an interchange with Hernandez and let fly from around 20 yards, with his low shot beating an unconvincing dive from Dawson and finding the bottom corner. If the hosts thought that goal would open the floodgates they had another thing coming, with the Owls continuing to have plenty of the ball and equalising in sensational fashion in the 33rd minute. There seemed to be little danger when Forestieri picked up possession midway inside the City half but once he had a sight of goal it was a different matter, with the Argentinian unleashing a wonderful shot from all of 35 yards into the top corner, giving Tim Krul no chance. Norwich quickly regrouped and almost regained the lead on the stroke of half-time, with Max Aarons bursting into the box after a backheel from Hernandez and bringing a good close-range save out of the busy Wednesday keeper. Ben Godfrey went close with a header from a corner as Norwich resumed on the front foot although it needed a brilliant reaction save to keep out another Forestieri piledriver a couple of minutes later after the ball had broken for him just outside the area. The visitors then stunned the home faithful by taking the lead in the 53rd minute with a controversial effort from Fletcher. After being picked out at the back post by a fine inswinging cross from Liam Palmer, the Scotland international appeared to bundle the ball past Krul with his arm, but referee Geoff Eltringham saw nothing wrong and the goal stood. Norwich’s response was a typically spirited one and midway through the second half they almost restored parity, with Kenny McLean only just off target with a header from an Aarons cross. Fletcher then stung Krul’s palms with another stinging drive as the game ebbed and flowed, but Norwich struggled to create clear-cut chances as the Wednesday defence held firm. Bu the hosts won a free-kick on the edge of the area in the final minute of stoppage time and Vrancic curled it home to earn the Canaries a precious point. An erratic Novak Djokovic suffered a surprise 6-3, 4-6, 6-2 defeat against Daniil Medvedev in the Monte Carlo Masters quarterfinals on Friday. The top-ranked Serb, who has won the tournament twice, looked out of sorts and produced 47 unforced errors. Defending champion Rafael Nadal was not at his best, either. But the second-ranked Spaniard rallied from 4-1 down against unseeded Guido Pella to win 7-6 (1), 6-3 and move closer to a record-extending 12th title here. Nadal imperiously won last year without conceding more than four games in a set. So Pella will have regrets, considering he was serving for a 5-1 first-set lead when he double-faulted. “I was lucky to escape and then I played better,” said Nadal. 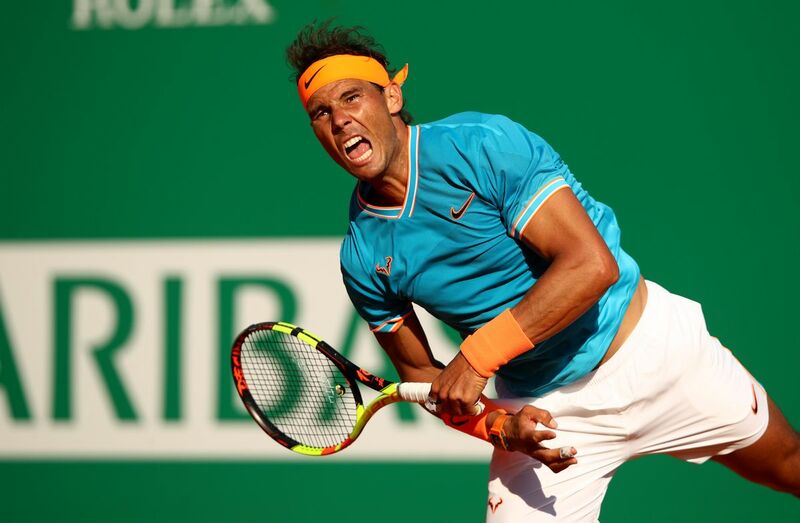 Although Nadal won the next four games to level at 5-5, he dropped his wayward serve again. It gave Pella the chance to become the first player to take a set against him here since Britain’s Kyle Edmund in the second round two years ago. Pella reached 30-30 but Nadal broke back and forced a tiebreaker his first here since a third-round win against John Isner in 2015. Although Nadal was broken to love serving for the match, Pella could not hold his serve, either. He saved one match point at 15-40 down but then double-faulted. After 2 hours, 20 minutes on court a relieved Nadal hugged his opponent at the net. “I played a terrible game serving for the match,” said Nadal, who conceded 13 break-point chances in the match. The last time Nadal failed to reach the last four here was in 2014, when he lost to countryman David Ferrer in the last eight. Nadal next plays No 9 Borna Coric of Croatia or No.13 Fabio Fognini of Italy. They were playing their quarterfinal later Friday. Djokovic double-faulted at 30-30 to give Medvedev his first match point and a backhand winner secured a first win against Djokovic at the fourth attempt, and a first victory against a No. 1. The 14th-ranked Medvedev is chasing a fifth career title. Djokovic won the Australian Open this year to secure a third straight Grand Slam title and 15th overall, moving two behind Nadal and five adrift of Roger Federer’s record haul of 20. In the other second-legged quarterfinal games, Valencia won 5-1 on aggregate after defeating Villarreal 2-0, and Eintracht Frankfurt overturned a two-goal deficit from the first leg. The German team went through on away goals following a 2-0 victory over Benfica for 4-4 overall. Chelsea enjoyed a 4-1 lead at halftime before conceding two goals after the interval for a 5-3 aggregate win. The London club equaled Atletico Madrid’s record run of 15 unbeaten games in the competition. Chelsea plays Frankfurt in the semifinals, and Arsenal, which won 3-0 overall, meets Valencia. For all four semifinalists, winning the Europa League would secure a route into the Champions League outside of their domestic leagues. Arsenal and Chelsea are currently locked in a tight fight with Tottenham and Manchester United for the last two qualifying spots from the Premier League behind Liverpool and Manchester City. Valencia is sixth in the Spanish league, three points behind Sevilla in fourth. Frankfurt is fourth in the Bundesliga. With Eden Hazard in a rare Europa League start, Chelsea was flying from the start. Maurizio Sarri made five changes to a 2-0 loss to Liverpool on Sunday but Hazard retained his place in a sign of the growing importance of the competition for the manager. 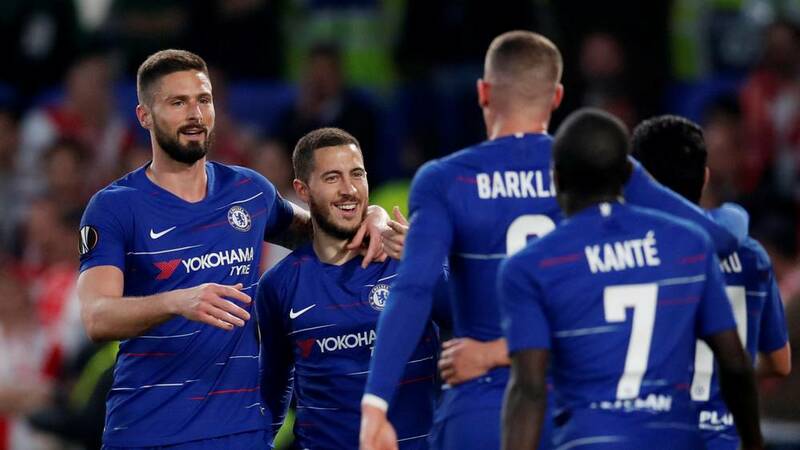 After a 1-0 victory in the first leg in Prague a week ago, Chelsea doubled its overall lead five minutes into the game after Olivier Giroud freed Pedro Rodriguez to lob Slavia goalkeeper Ondrej Kolar. Five minutes later, Hazard crossed for an easy tap for Pedro across the goal but the ball bounced off the post to hit the head of Simon Deli before ending up in the net. In the 17th minute, Pedro and Giroud exchanged their roles for the France striker to make 3-0 with his 10th goal in the competition to cement his top position in the scoring table. Tomas Soucek pulled one back for Slavia with a header in the 26th, a minute before Pedro added his second on a rebound from close range. Petr Sevcik netted twice for Slavia in a span of four minutes early in the second half to put Chelsea under pressure but the London club didn’t allow any drama. It was down and then up for Arsenal in the first half. It lost Aaron Ramsey to what appeared a hamstring injury shortly before Alexandre Lacazette unleashed an unstoppable long-distance drive from a free kick to find the top of the net in the 36th minute. It was the 50th game for Unai Emery in charge of Arsenal since replacing Arsene Wenger as manager. Emery used almost the same lineup as the 2-0 first-leg victory at the Emirates Stadium, with only Granit Xhaka returning to take the position of Mesut Ozil in the midfield. The win kept alive Emery’s bid to win the competition for the fourth time, after doing so with Sevilla in three straight years from 2014. Frankfurt rebounded from two straight defeats, including the 4-2 loss at Benfica in the first leg. Filip Kostic was on hand to put Frankfurt ahead in the first half after Mijat Gacinovic’s attempt from 20 meters hit the post. Sebastian Rode scored the winner that sent Eintracht through with a shot from the edge of the box in the second half. Toni Lato volleyed home in the first half for Valencia in its all-Spanish quarterfinal against Villarreal, and captain Dani Parejo sealed it with a deflected free kick in the second half. Valencia also got past Villarreal in the semifinals of the 2004 UEFA Cup, a competition it went on to win. Villarreal can now focus on its effort to avoid relegation from the Spanish league.